What does Magic Plan do? 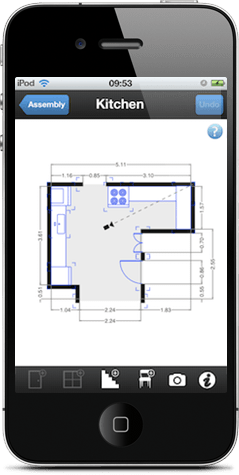 Create floor plans, just by using your iPhone or iPad! 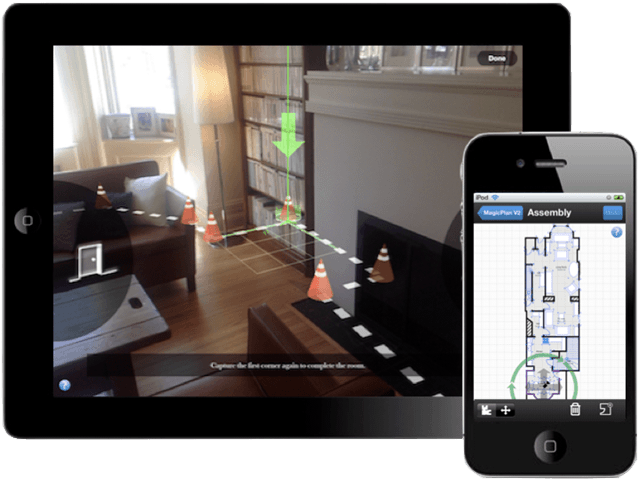 Magic Plan is an iOS app that let's you create floor plans in a fast and fun way. Use the camera of your device and while turning around, mark the corners of your space. When you are finished, Magic Plan aggregates a floorplan! 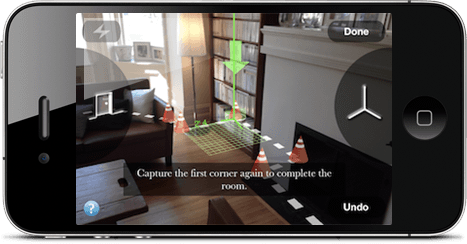 With just a little practice you'll be capturing a room using Magic Plan within a minute. That's saving you a lot of time - plus the cost of employing someone else to measure it! App of the week in 94 countries! 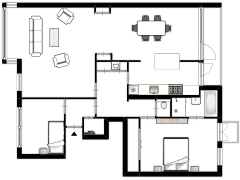 How can I use Magic Plan along with Floorplanner? Now you have the floor plan you made with Magic Plan, you'd like to make some adjustments and see what it looks like, right? That's where Floorplanner comes in. Connect your Magic Plan account to your Floorplanner account. From now on, you can push your Magic Plans right to Floorplanner and make them look incredible! With the Magic Plan floor plan inside of Floorplanner, you can create beautiful 3D views and exports. Great for use in marketing campaigns, online or in printed particulars.